Are We Making Our Fans Work Too Hard? Just because you CAN do something in social media, doesn’t mean you SHOULD. 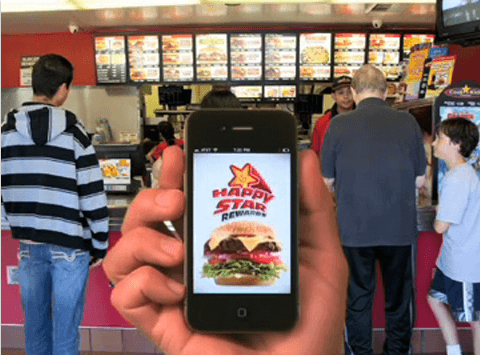 This point was driven home for me recently when reading an AdAge article about CKE Restaurants (Carl’s Jr. and Hardees) launching their own mobile loyalty cards via iPhone and Android app. “As far as we know, we’re the first quick-service restaurant to combine the location-based tech with tangible rewards,” said Brad Haley, Executive Vice President of Marketing (in the AdAge coverage). First of all, every fast food location with a FourSquare Mayor reward is combining location-based technology with tangible rewards. Secondly, why is being first even remotely worth trumpeting? There are 550 million Facebook members, four million FourSquare users, and in the digital loyalty game you already have players like Loopt and Shopkicks offering well-executed solutions. But, CKE ignores all of that installed base and decides to go it alone, forcing its customers to become aware of, download, and utilize its very own application? Why would you erect that many barriers to participation? Why not just launch a tattoo-based loyalty program, where customers that get inked with pictures of burgers get discounts? Or, “walk across molten lava” Thursdays? Good plan. Let’s admittedly and purposefully ignore something trivial like “convenience” in favor of increased participatory friction, just so that we don’t have to share an application with other (possibly complementary) products and services. While I do like the “Wheel of Awesome” element of the app, as well as the count-down clock to redeem offers (smart feature), overall I just don’t see this as being worth the customer’s effort – recognizing of course that I am not the target demographi. The future of marketing is to decentralize and be part of platforms and communities that your customers prefer, not insisting that they meet you on your field, and play by your rules. Ironically, CKE’s attempt to be “first” and “modern” actually makes them seem unable to grasp the future – which is increasingly the present.